$1,025; Toulouse from $1,198 Find out more here. Accor Hotels: 3 nights for the price of 2 for weekend stays Worldwide. Book by Mar 29 for stays until Aug 31, 16. Find out more here. upscale boutique The Cromwell. Book by Apr 21. Find out more here. 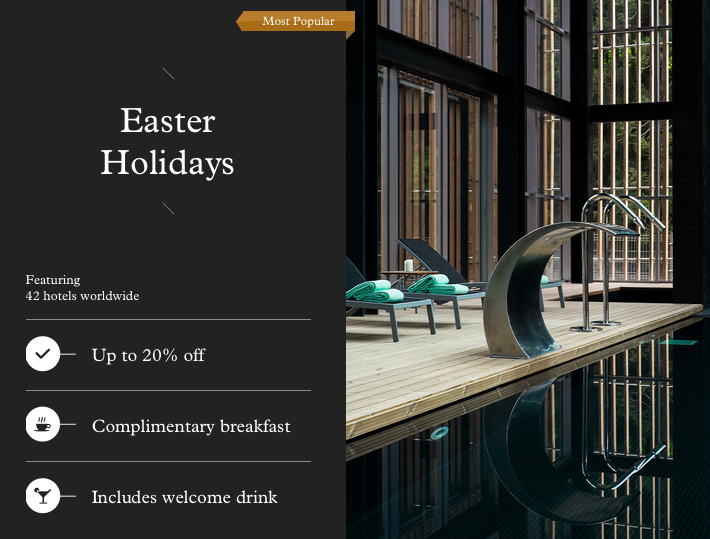 Design Hotels: Easter Sale – Up to 20% off, welcome drink and breakfast for stays of 2+ nights. Until Apr 10, 16. Find out more here. Hotels.com Easter Sale. Save up to 40%. Book by Mar 28 for stays until May 8. Find out more here. Melia Hotels: Save up to 35% when you stay at Melia Hotels in Asia. Find out more here. Park Inn: Easter Package in the UK & Ireland – room upgrade, Easter Egg, and delicious breakfast. Until Apr 10. Find out more here. 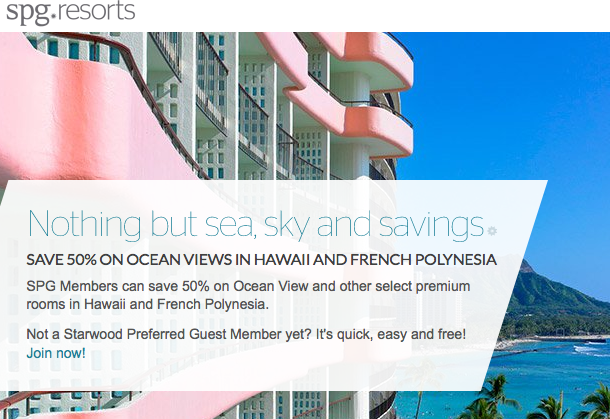 Starwood: SPG Members can save 50% on Ocean View and other select premium rooms in Hawaii and French Polynesia. Find out more here.